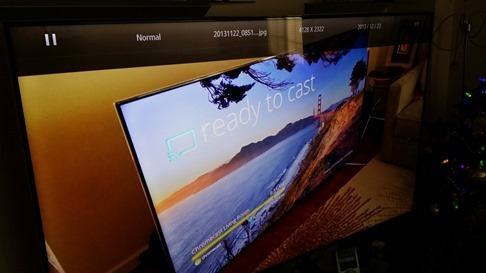 We've covered Koushik Dutta's AllCast before: it's an Airplay/DLNA streaming app that lets you stream all the things. Now it's out of beta, and you don't have to jump through any hoops to get it: just head to the Play Store and download that sucker to your cell phone telephone. The free version includes advertising, splash screens, and a 60-second streaming limitation, while the $5 Premium unlock app is unlimited. 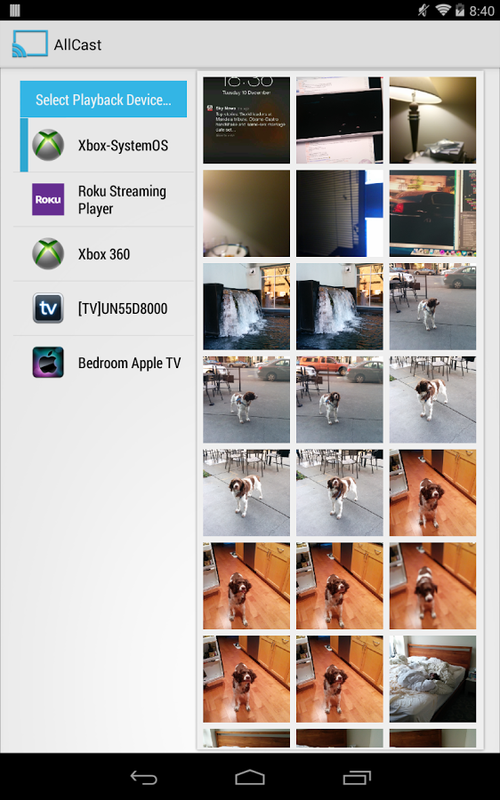 The app is a streamer for any local video or photos on your Android device. AllCast can stream to the Apple TV via AirPlay and pretty much anything with a DLNA connection, which includes Roku, both the Xbox 360 and Xbox One, most smart TVs, and Google TV... but not Chromecast, as originally intended. Google still hasn't released the public API for third-party streaming, and has closed loopholes that allowed basically unrestricted access to the Chromecast, as Dutta previously explained. Google should open up the Chromecast to unrestricted third-party app support sometime in 2014, at which point AllCast will almost certainly be updated for compatibility. At present the app leaves a bit to be desired, since it's just a set of destinations and a media pane. 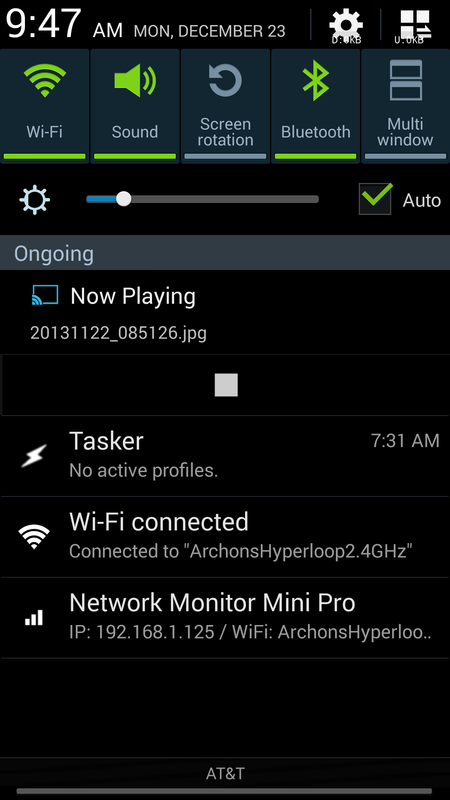 There's no differentiation of media types, no way to queue up a playlist, severe streaming connection issues, rotating the screen causes you to re-select the streaming device, you have to stop streaming via the notification window, and controlling audio volume is a pain because the video stream doesn't trigger Android's media volume control. 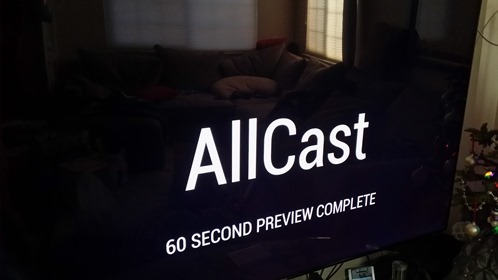 AllCast is still very much in beta, so if you're looking for a dependable solution for streaming to any of the supported devices, you might want to wait a while for Dutta to smooth out the rough edges. 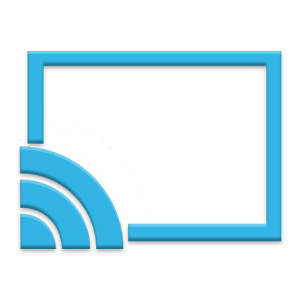 AllCast is compatible with Android 4.0 and higher, and the premium app must be installed over the basic app to unlock all features.